Focus On The Fun, Not The Burn! This is a court you’ve never experienced before! "interactiveSQUASH is a very innovative system that is so much fun playing on. I tried out all its games and it is so different and unique. I have been playing on court for around 1 hour and I thought it was 10 minutes! Diverting." "Data analytics provided by interactiveSQUASH at PSA SquashTV tournaments is without a doubt a big step for our game. It enables pros to get access to their movements and shots on court, using them afterwards to improve our training." "I'm really happy about the installation of an interactive court in Paderborner Squash-Club. I really like training modules like Drive or Area Training. I’ve never been somebody who could motivate to train on my own but the interactive court gives you a challenge within solo training as well as the opportunity to focus on targets". "I’ve really enjoyed having the interactiveSQUASH court in Esbjerg. The training drills are really fun and challenging, and you can always try something new. It’s very easy to use as well; I just downloaded the App, stepped into the court, and started doing the drills. 10 out of 10 stars if you ask me!" "interactiveSQUASH is without doubt the best coaching tool ever produced. It is only limited by our own imagination as coaches. It is a real game changer!" 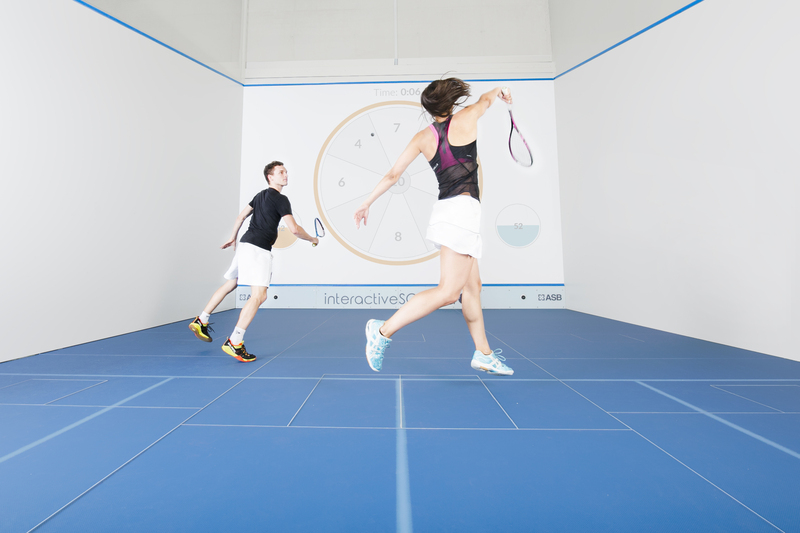 Any existing squash court can be upgraded to an interactiveSQUASH court within 48 hours.